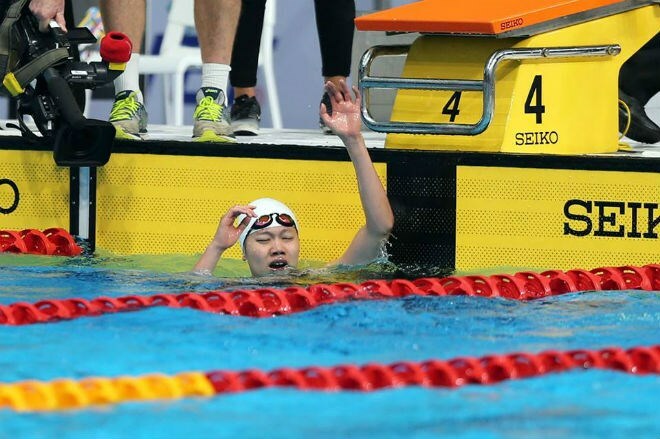 Kuala Lumpur (VNA) – Vietnamese swimmer Nguyen Thi Anh Vien on August 22 grabbed a gold medal in the women’s 200m backstroke category at the ongoing 29th Southeast Asia Games (SEA Games 29) in Malaysia. Vien clocked 2:13:64, breaking her own previous SEA Games record of 2:14:12. This is the second gold Vien has won at the SEA Games 29. Vien pocketed the first gold medal in the women’s 100m backstroke category on August 21. Vietnam’s national swimming team, consisting of 25 swimmers, will compete in all 38 categories.